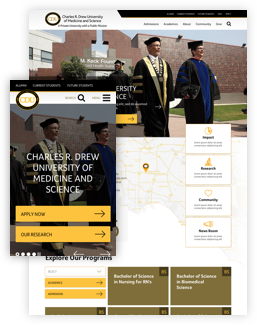 Charles R. Drew University of Medicine and Science is a private, non-profit, historically black university in Los Angeles, specializing in medical & healthcare education. 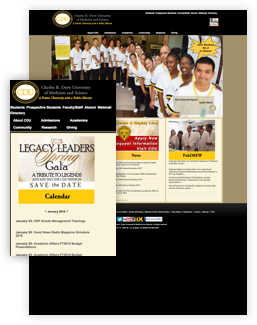 Founded in 1966, CDU is a recognized minority-serving institution, dedicating its academic, research, and community education programs to underserved communitites. We wanted to make them a site that felt professional and cutting edge, while at the same time keeping a sense of place and community. We conducted stakeholder interviews, in-person workshops and a content audit to better understand CDU and make decisions based around their unique needs. We took CDU through our full design process. Starting with detailed wireframes based on our research, we tailored the experience to their users. 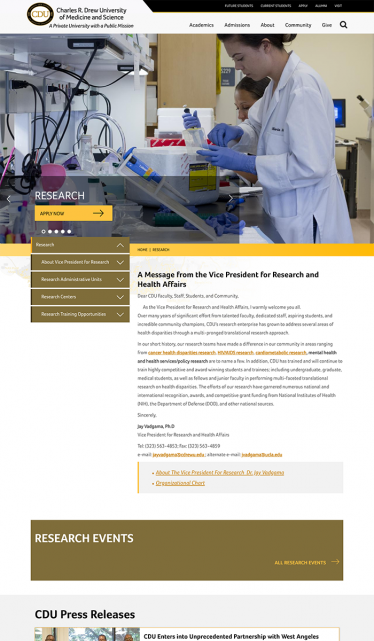 Built in Drupal 8 and hosted on Acquia's cloud platform this is a truly modern website. 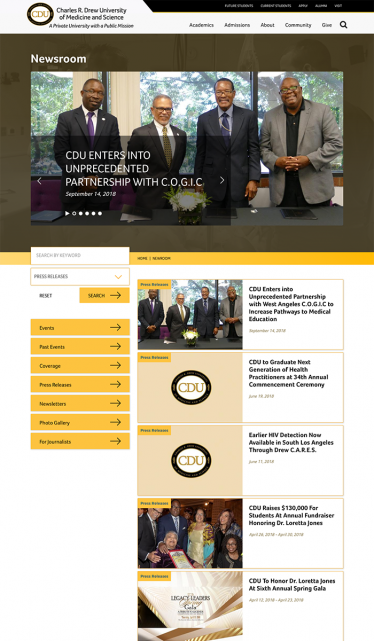 KWALL's team of experts helped CDU migrate their existing content to the new platform and set up SEO and analytics tools. 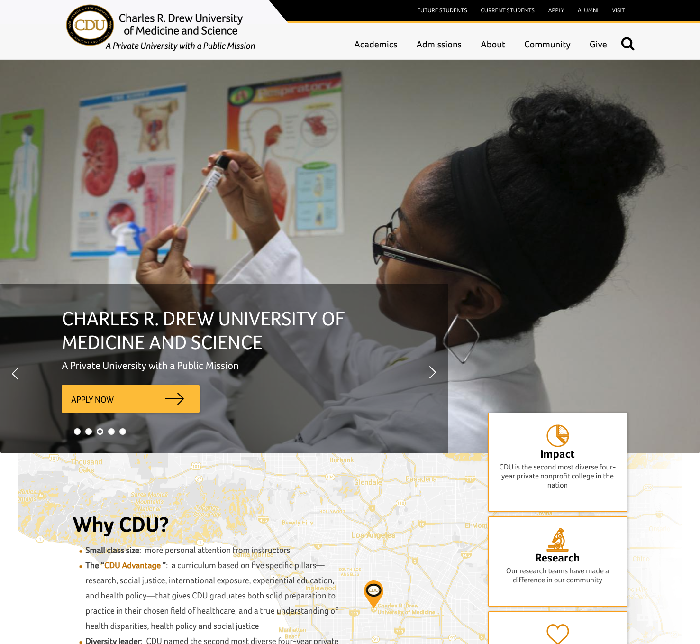 We brought CDU's unique identity online by focusing on the people and places that make them great. Images of students and maps of LA are just a couple of the ways we tell their story. We also designed plenty of spaces for Drew to explain their mission and it's impact. What students are really excited about is what they can learn and where that will lead them. 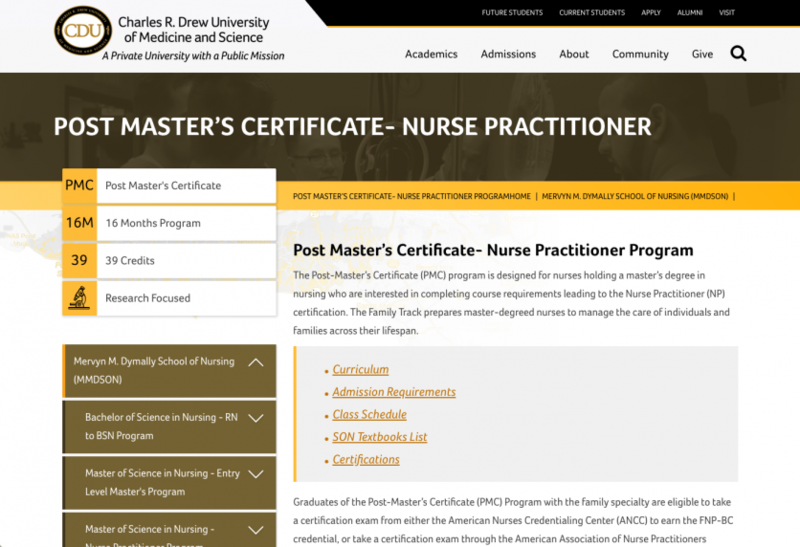 CDU's program pages include a glanceable sidebar section with key program information like the degree granted, program length and the program focus. Students can easily compare different degrees, or dive into each program to learn more. 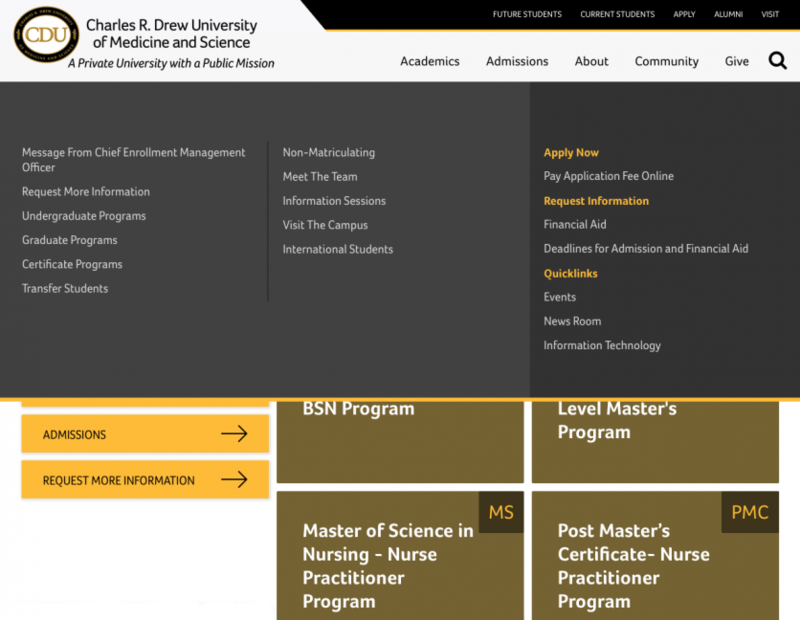 We implamented a mega-menu style navigation system that allows students to find what they need. 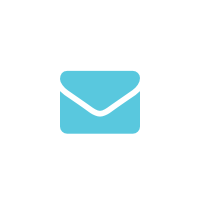 Each section is broken into smaller lists of links with the addition of helpful items on the right to augment the primary navigation structure. But this is more then just a new menu system, it is a reorganization of the site and it's content to better serve students.